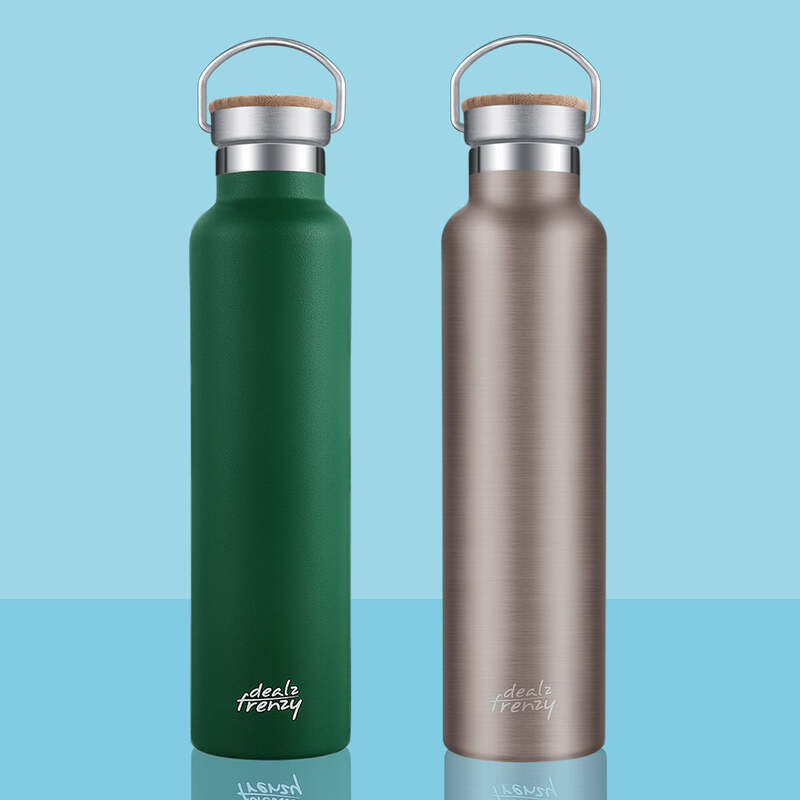 Real stainless steel sports water bottles - vacuum insulated double wall water flasks have sleek design, keep your drinks cold for 24 hours and hot for 12 hours-no matter what the weather's doing outside. 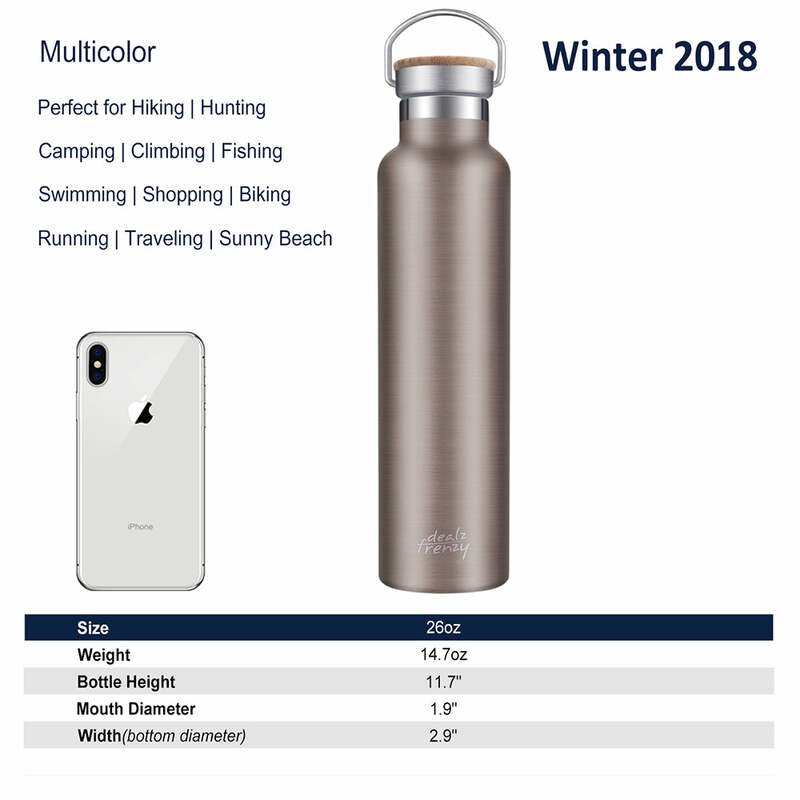 The stainless steel thermoses come with a bamboo cap which adds a unique nature vibe, and fit most backcountry water filters. 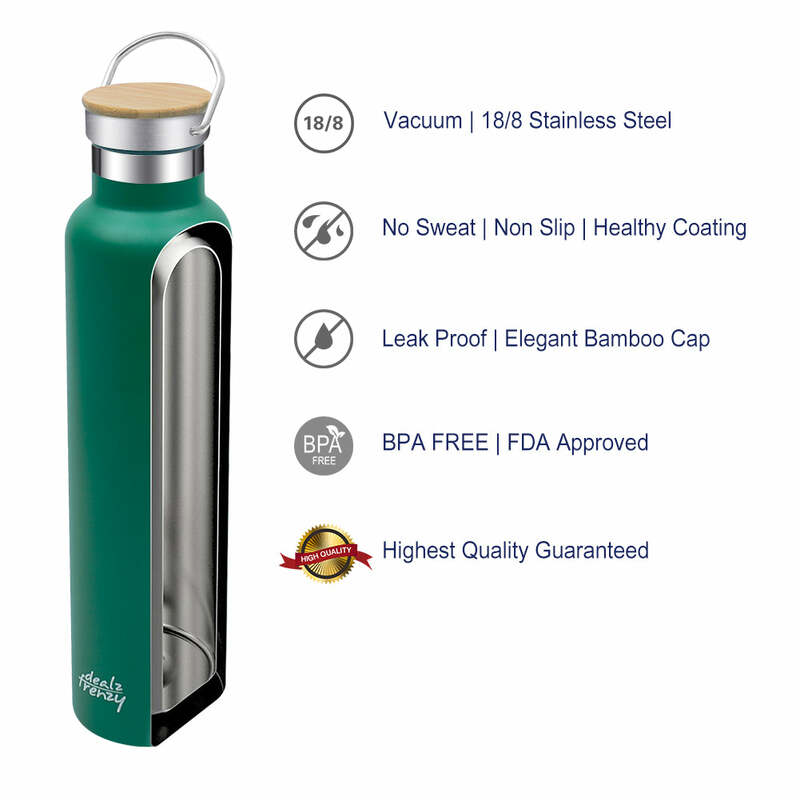 Dealz Frenzy's stainless steel vacuum insulated double wall sports water bottle fits outdoor adventures, hiking, camping, or outdoor recreation. 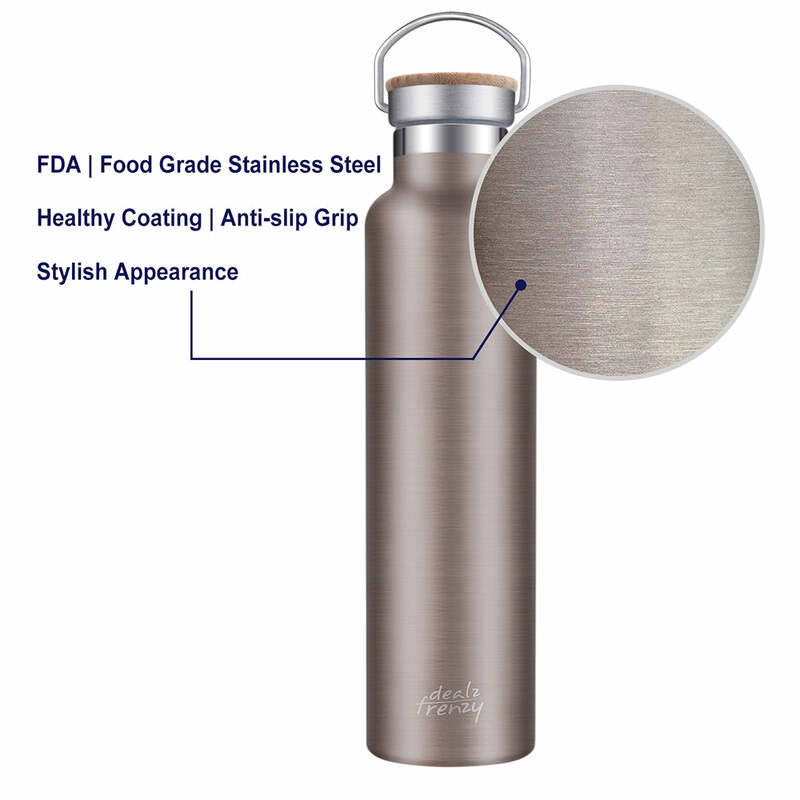 The stainless steel vacuum insulated double wall sports water flask is made from food-grade stainless steel material which is BPA free, healthy and non-toxic, FDA approved. You can drink it directly without any worry. Perfect for enjoying cool and fresh beer or wine in hot summer or enjoying the warm coffee or chocolate in cold winter. Bamboo adds an unique nature vibe and attractive look. Vacuum insulation keeps you cool after spending a day in the blazing hot sunshine. 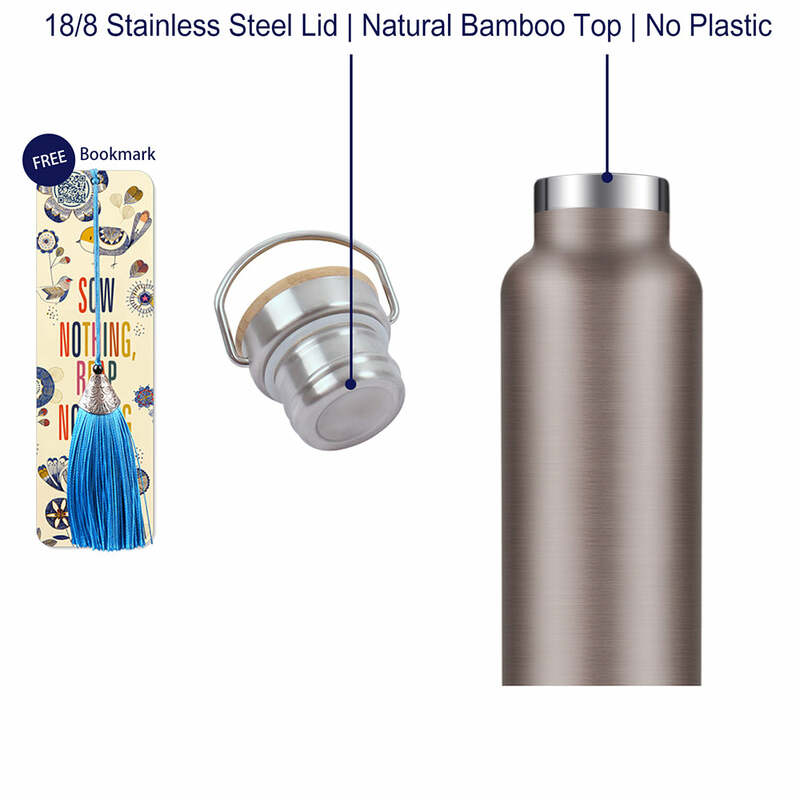 "ELEGANT BAMBOO CAP DESIGN, HIGHLIGHT RETRO FASHION "
There is a leak proof, screw-on steel cap topped with bamboo to keep that nature vibe with you at all times.